Let’s face it – this is the fun part! 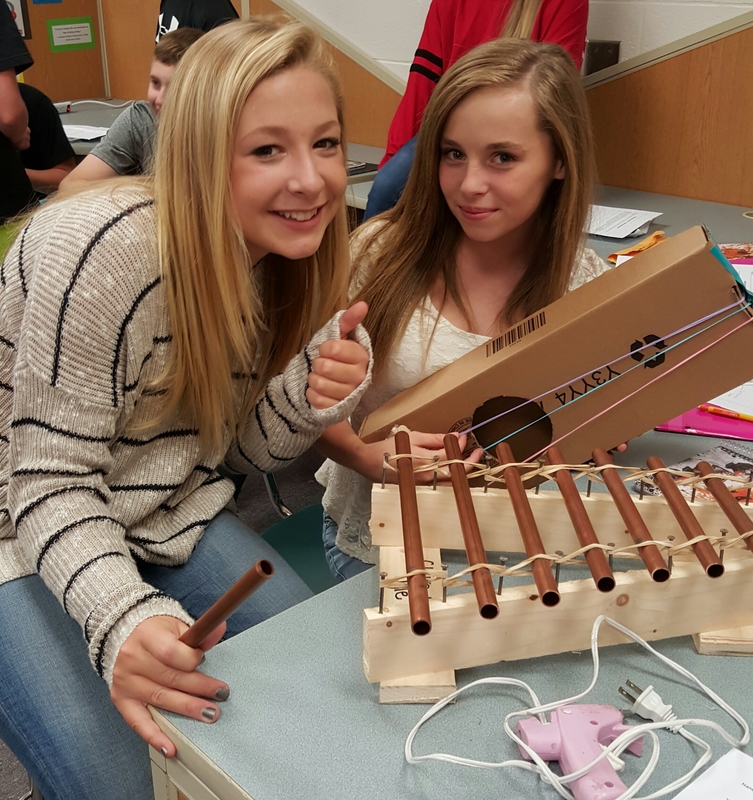 Everything we’ve done so far led up to this – build your instrument! 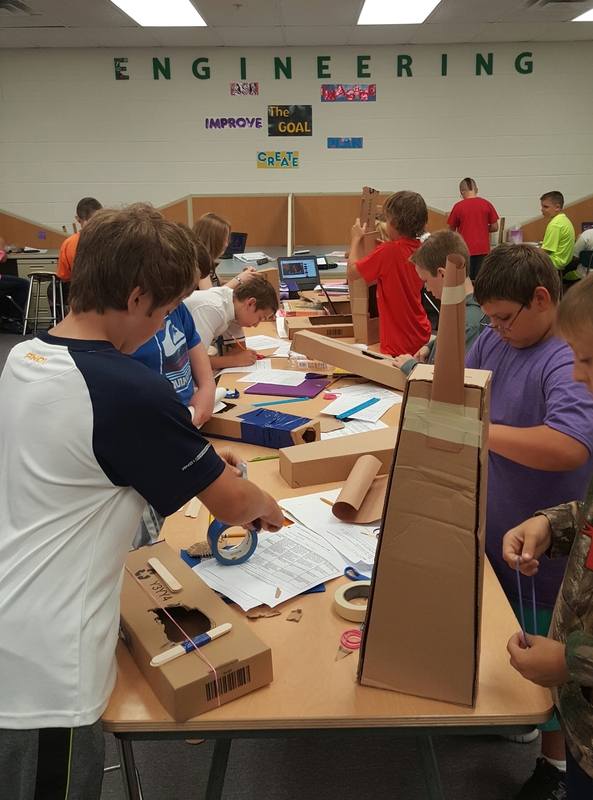 We gave students a day to research what they wanted to build and how to build it. (We’re lucky enough to have Chromebook sets so each student could do their own research.) 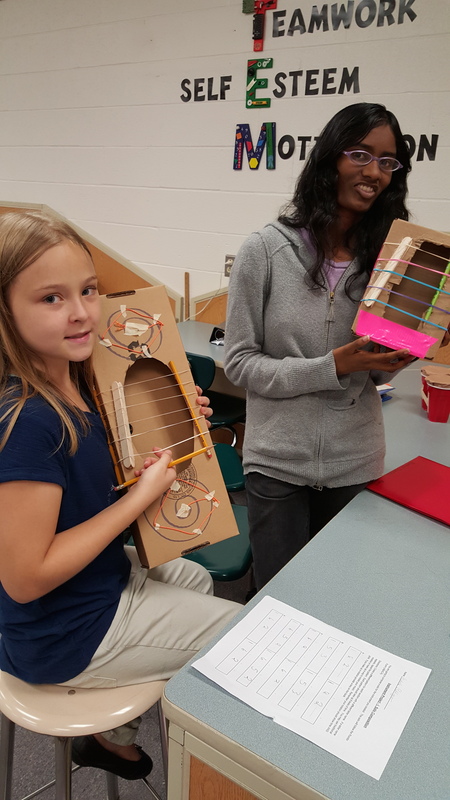 Most students went to a search engine or youTube and searched for things like “build your own instrument”, “diy instrument”, or “homemade instrument”. Once they chose what they wanted to build, they found instructions or videos giving specific directions. 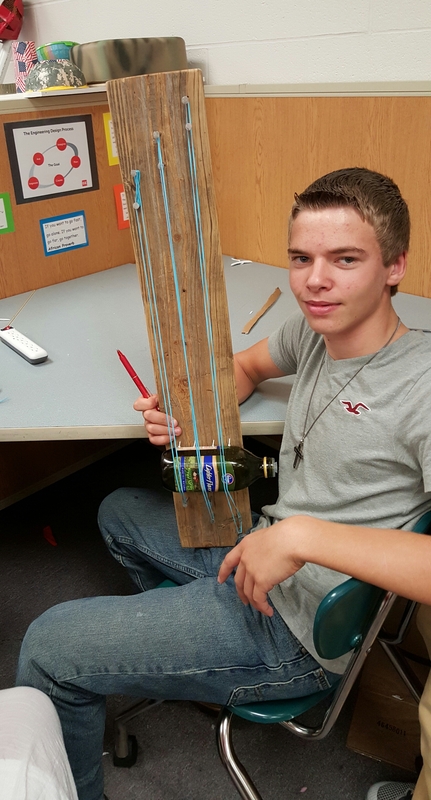 Students had a Engineering Design log to guide them through the process. Ours was based on this Engineering Notebook (p. 6). 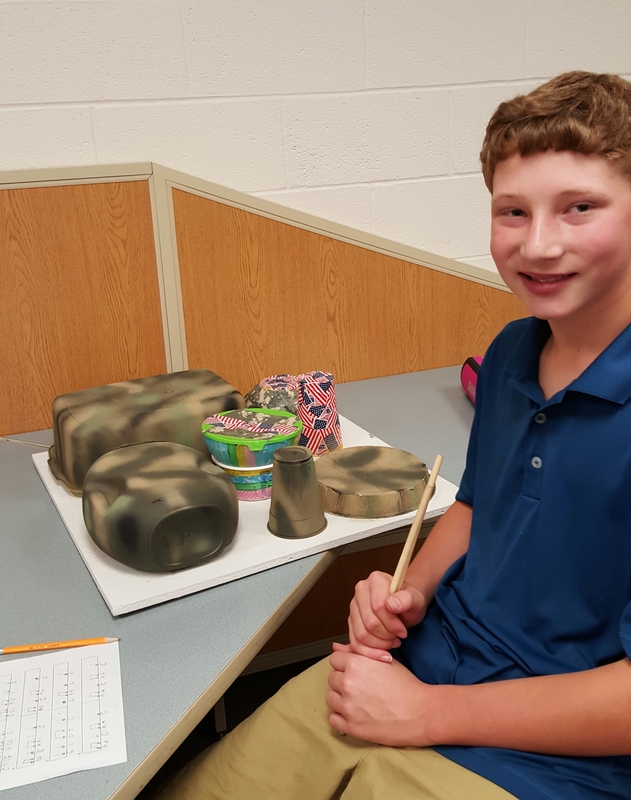 Each student’s instrument had to be sketched and labeled with all needed supplies before they could start building. Supplies – this is probably the biggest challenge to this entire project. 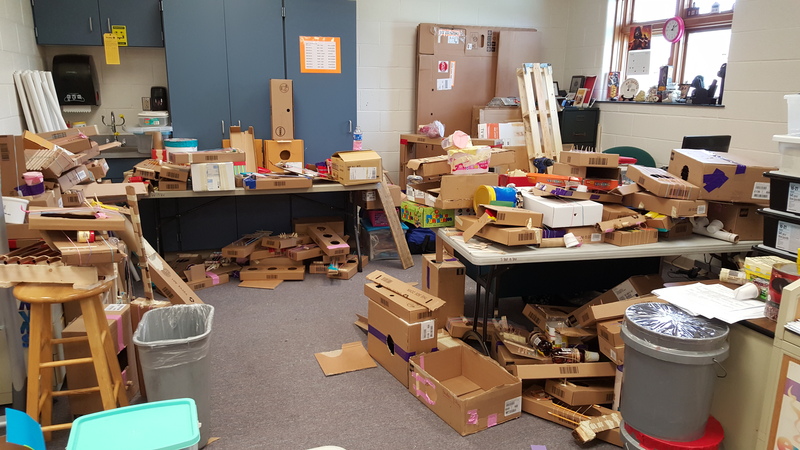 Luckily, our STEM teacher had been collecting cardboard since the start of school so we had an enormous supply. That said, we went through an enormous amount! Tip: the most useful types of cardboard were computer keyboard and ukulele boxes. 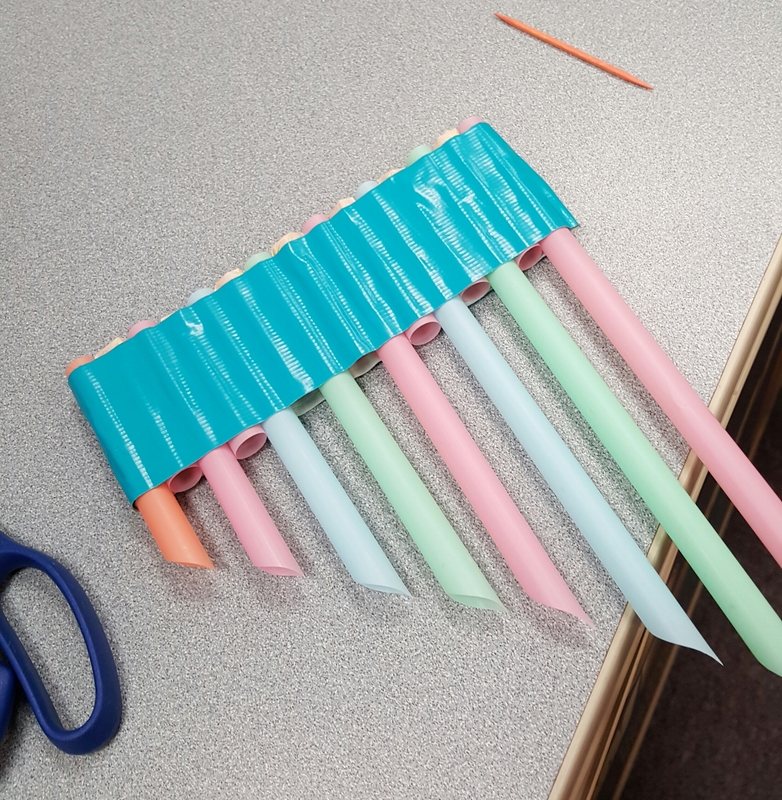 We also had various workshop tools, hot glue guns, box cutters, and exacto knives. Obviously, we used these or supervised student use. We also encouraged students to bring in supplies from home. 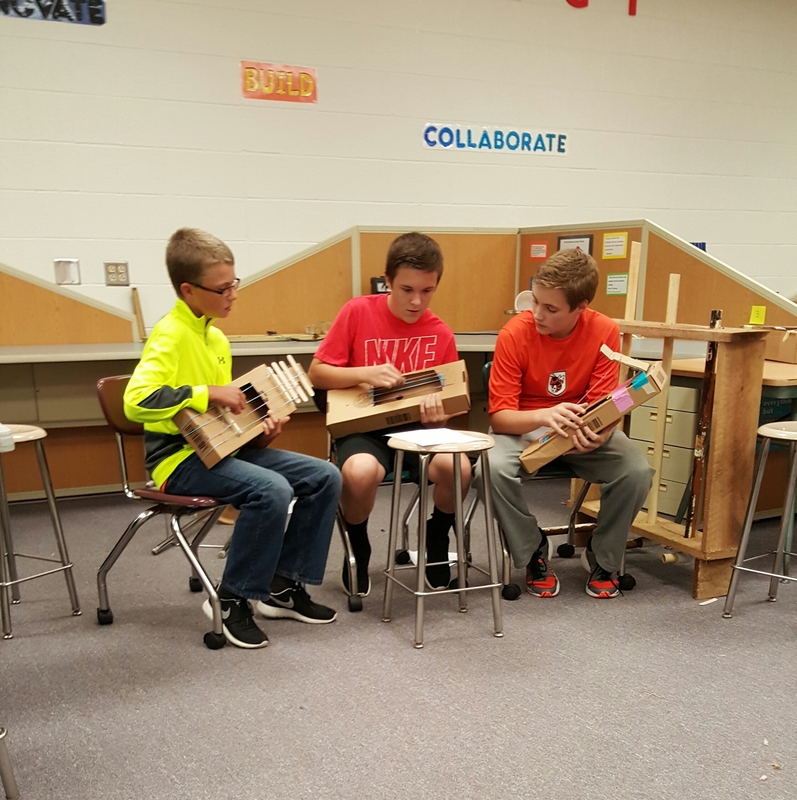 In the end, we had a few students who built their instruments at home and brought them in. 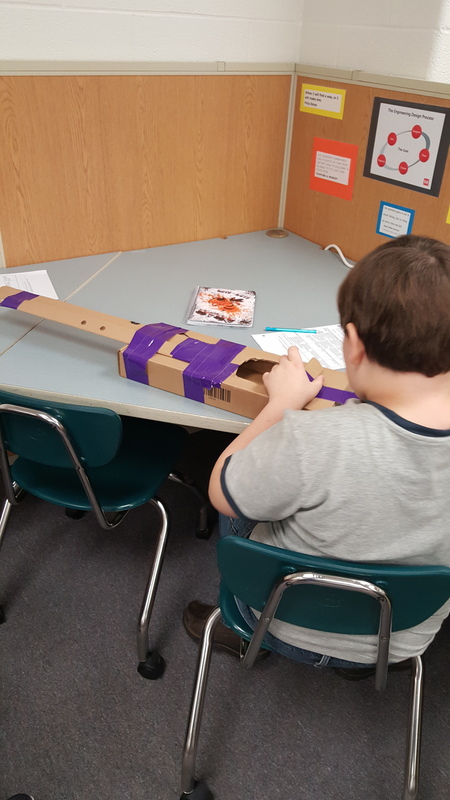 These were mostly students who wanted to use wood or other materials to build and had all the supplies and tools at home. 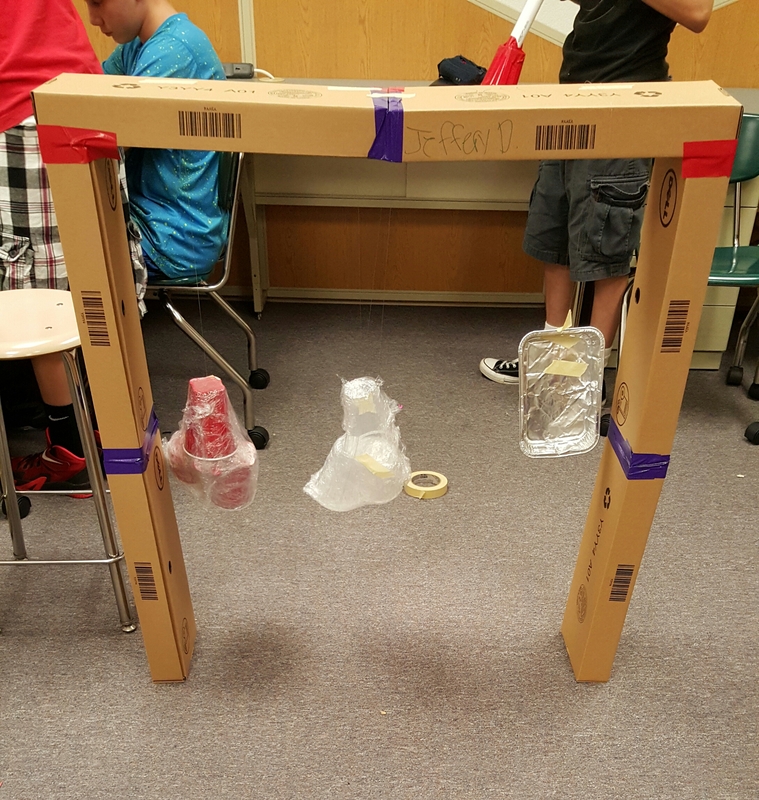 Note to teachers: Storage quickly became an issue with this project – especially when you combine classes! Make sure you think about where you can keep work in progress! Were pretty amazing!! Students with about 3 days to build. Some would have gone longer but we eventually had to put an official end to building. Just like adults we definitely had some “tinkerers” who enjoyed making adjustment after adjustment. Scroll down to see some proud kids and their instruments! 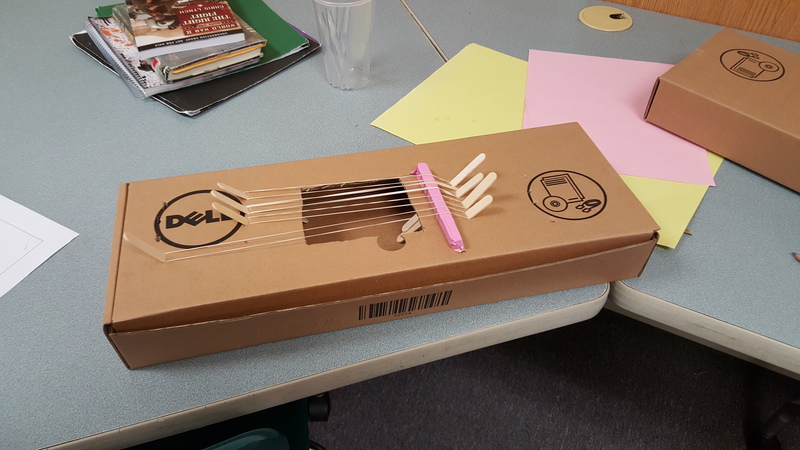 Next up – can we actually make music with these instruments? ?